The Tapping Diet was developed by Jessica Ortner, a weight loss coach and co-producer of a documentary on a healing modality called meridian tapping. In her book, The Tapping Solution for Weight Loss and Body Confidence, she introduces readers to this technique. By using the methods outlined you can learn to alleviate stress and let go of limiting emotions and beliefs. This allows you to connect with your body and what it actually needs to get healthy and release excess fat. Tapping – also referred to as EFT or Emotional Freedom Techniques – involves performing a “tapping sequence” on eight meridian points. Simultaneously you will repeat certain words or phrases designed to address emotional and behavioral blockages. These consist primarily of positive affirmations. The Tapping Diet claims that tapping bridges the gap between your body and mind. You tap areas of your body while focusing on a thought or feeling. This relaxes your body and sends a calming signal to your brain, telling it to relax as well. Jessica Ortner explains the science and research around tapping, which is linked to how your stress hormones can prevent weight loss. When most people clear the stress that causes them to overeat, they naturally consume less without even noticing. The tapping diet technique is simple and you will learn it quickly. You can begin to apply this method immediately. Beginners will obtain a solid grounding in the basics of tapping for weight loss and body confidence. Advanced tappers have the opportunity to learn more about the latest breakthroughs in the application of this technique. Many dieters are dealing with emotional eating and food cravings. You can use tapping to specifically address these issues. To a large degree this involves exploring the past and present events that may be having a negative effect on your body confidence. When you understand and release the emotions connected to these occurrences it becomes easier to create and maintain healthier behaviors. You can also use tapping to create a new relationship with food based on pleasure and nourishment. The tapping diet can be applied to transform these negative emotions into positive associations. This allows you to let go of the idea of deprivation. You can take care of yourself and enjoy your food as you achieve your health and weight loss goals. You are encouraged to explore exercise so as to get back in touch with your body through movement. It is essential to shift your focus from viewing exercise as punishment or for the sole purpose of burning calories. Instead you will embrace regular physical activity simply because it feels so good. Even people who claim to “hate” exercise start feeling genuinely excited to move their bodies again. 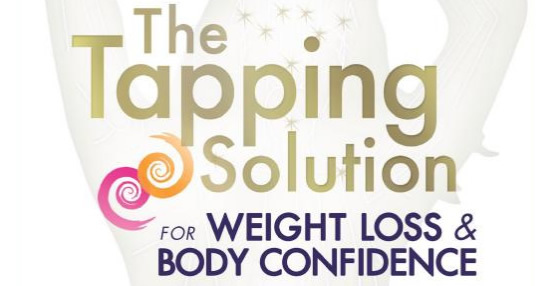 The Tapping Solution for Weight Loss & Body Confidence: A Woman’s Guide to Stressing Less, Weighing Less, and Loving More retails at $24.95. Addresses the emotional factors that may be stopping you from losing weight permanently. The tapping diet has been shown to reduce cortisol levels by 71% more than conventional treatments. Can be applied to any aspect of your life where you feel you are not reaching your full potential. The technique can also be used for the management of headaches, insomnia and other physical ailments. Focused on addressing the root causes of weight gain for long-term success. Some readers may be skeptical about the proposed benefits of tapping. Does not include a meal plan or guidelines on how to eat. May take time to achieve the desired outcomes. Not a substitute for professional psychological counseling. The Tapping Diet can be used to identify the psychological and emotional factors that may be holding you back from losing weight. Instead of focusing on a restrictive diet you will resolve the negative patterns that cause you to eat too much. This technique allows you to let go of stress, improve body confidence, and nourish yourself on all levels. Many dieters have been successful applying this method to achieve natural, effortless weight loss.